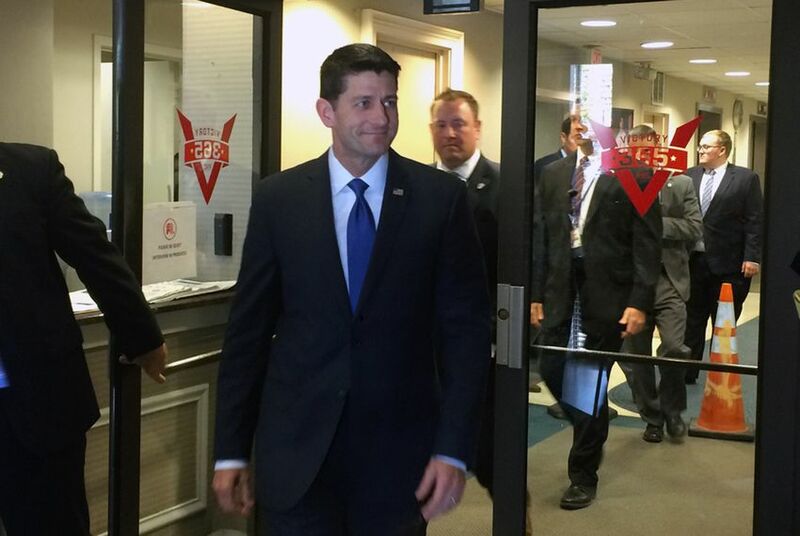 WASHINGTON — Jaws dropped on Capitol Hill a few weeks ago when Speaker Paul Ryan’s aides announced he raised $17 million in the first three months of this election year, much of it going to shore up re-election for his fellow GOP incumbents in the House. But what was not immediately clear was that 20 percent of that money, $3.4 million, came from a single Ryan fundraising swing though Texas. While the GOP holds its largest House majority in generations, that majority may be short-lived as real estate magnate Donald Trump — an incendiary newcomer to presidential politics — closes in on the GOP nomination. The fear among many campaign operatives is that his divisive presidential campaign could drag down GOP House and Senate candidates around the country. Amid this battle, Republicans in Texas, where few congressional seats are seen as up for grabs, are positioning themselves as central to the cause of saving vulnerable incumbents. Texas Republican donors make up the second-biggest donor bloc after New York State to Ryan’s fundraising apparatus since he replaced John Boehner as Speaker of the House, according to two House GOP operatives. But it's not just wealthy Texans signing checks at local fundraisers. In the House, both parties’ campaign arms periodically assign their members fundraising goals to help incumbents. Flores and several Republican operatives interviewed for this story said they suspect the recent leadership change from former Boehner to Ryan, who is more popular with the GOP base, is also translating to more buy-in by fellow House members with the National Republican Congressional Committee, the campaign arm of House Republicans. “I’d say there’s a slight positive bias toward supporting the NRCC,” Flores said. Often, members from both parties grouse about the dues process, and some choose not to contribute. Others are eager to raise money for their party's committees, finding it forms an expedited pathway to chairmanships or leadership posts. The House GOP in particular keeps its dues process under wraps, but fundraising expectations are higher for members like U.S. Rep. Kevin Brady of the Woodlands, chairman of the House Committee on Ways and Means, and U.S. Rep. Jeb Hensarling of Dallas, who chairs the House Committee on Financial Services. Both are stronger draws for fundraising dollars compared to obscure freshman and rank-and-file members. Texas currently boasts a modern high of seven committee chairmen in the U.S. House, all Republicans: Brady, Hensarling, Lamar Smith of San Antonio, Mike Conaway of Midland, Mac Thornberry of Clarendon, Pete Sessions of Dallas and Michael McCaul of Austin. As of March 31, their collective contributions this cycle to the NRCC and to colleagues' campaigns total nearly $3 million, according to data compiled by the Center for Responsive Politics and a Texas Tribune analysis of Federal Election Commission records. Two veteran members on the chairman track — U.S. Reps. Kay Granger of Fort Worth and Michael Burgess of Lewisville — are similarly prolific. Both have raised well past $200,000 apiece for the NRCC and the campaigns of individual House and Senate colleagues and challengers. U.S. Reps. Ted Poe of Humble and John Carter of Round Rock are also six-figure donors. It’s nothing new for Texans to use donor money from back home to climb the rungs of Capitol Hill — it's how Lyndon Johnson built his own power base as a congressman and senator. Yet an outsized proportion of the Texas effort has gone in recent years toward races in other states, as fewer such seats in Texas have been up for grabs in a general election. Writing checks to colleagues is a key way to build up favors and friendships that could help in a future leadership or chairman race, which are tricky struggles based on loyalties. But there is also little doubt this generosity is rooted in a sincere desire to elect GOP challengers and incumbents and to hold the House majority. “That allows us as Texans to support them get across the line, and that makes us more effective,” Flores said. Though he was only sworn in as speaker six months ago, Ryan has already traveled to Texas at least twice to raise money for his colleagues. "The Texas GOP Congressional Delegation is a crucial part of the House Republican majority – they are helping to lead a bold, conservative reform agenda," Ryan spokesman Zack Roday said in a statement. "Speaker Ryan is always happy to visit the Lone Star State to share that message of reform with such strong supporters." After his six-city swing through the state in January raised $3.4 million, Ryan returned in March to headline a San Antonio fundraiser for the only member of the Texas delegation in a competitively drawn U.S. House district. A GOP operative told the Tribune the fundraiser netted freshman U.S. Rep. Will Hurd about $100,000, a sum that contributed to a stunning $511,000 quarterly haul. Hurd will use that money to wage a field and television war against an old rival, former U.S. Rep. Pete Gallego, a Democrat, as they battle for Texas’s 23rd District next fall. Multiple Democratic operatives tell the Tribune that Gallego, in his own right, had a helping hand earlier this year from the second-ranking House Democrat, Minority Whip Steny Hoyer of Maryland, who headlined an Austin fundraiser for him. Gallego raised $312,000 in the same period. Besides Hoyer's efforts, House Minority Leader Nancy Pelosi made an October swing through Texas to raise money for House Democrats' coming fall campaign. But the fact that Hoyer and Ryan traveled to Texas specifically to help Gallego and Hurd indicates just how badly senior officials in each party want to win that seat. Other members of the Texas delegation are also pouring funds into the race. Thirteen of the state's 27 GOP delegation members gave to Hurd this cycle, while six of the 11 Democrats gave to Gallego.